When starting a new affiliate venture, it’s best to try and find a niche subject with few competitors. However it isn’t always easy, as these days most niche subjects will be covered by several websites. Awin publisher BigSpark recently launched a new brand focused on the competitive SIM-only market. OnlySim.nl isn’t the first SIM-only comparison service, thus claiming a unique position on the market and standing out from competitors is of utmost importance to them. 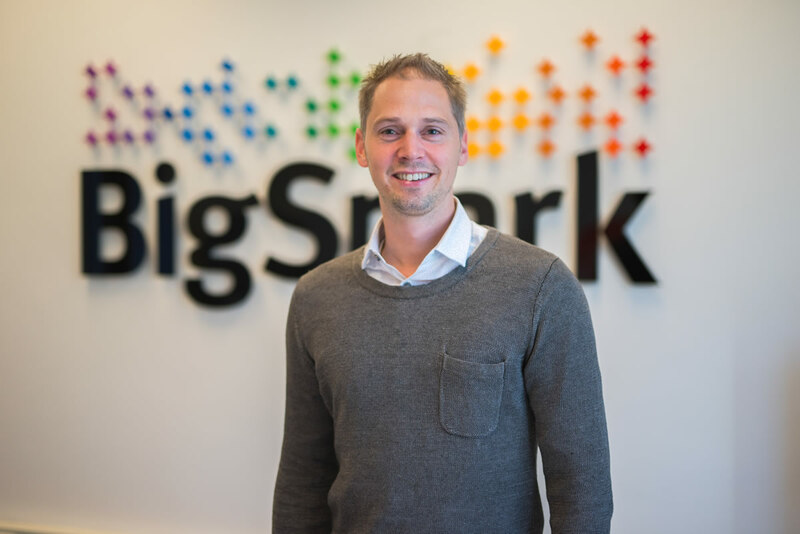 In this guest post, BigSpark’s owner Peter Geurts shares five pointers which can help you to enter a competitive market as an affiliate. Good ideas take time to ripen. Often, it stems from a subject you’re already familiar with and have a lot of knowledge about. Already having the necessary contacts are also important. As BigSpark already owned tech websites AndroidPlanet.nl, iPhoned.nl and Smartphone.nl, it seemed logical for us to launch OnlySim.nl when we noticed an increase in demand for SIM-only plans. You cannot claim to be an expert in a certain area, without actually showing why. For example, each month BigSpark’s telecom experts are involved in 60,000 purchases by advising customers on the best smartphone deals and devices. The knowledge and experience that we have gained from doing this helped us to launch OnlySim.nl. In order to be successful in a competitive market as an affiliate, added value and a distinctive character are key. It is important to find out where competitors in this market fall short and if you’re able to solve this problem. 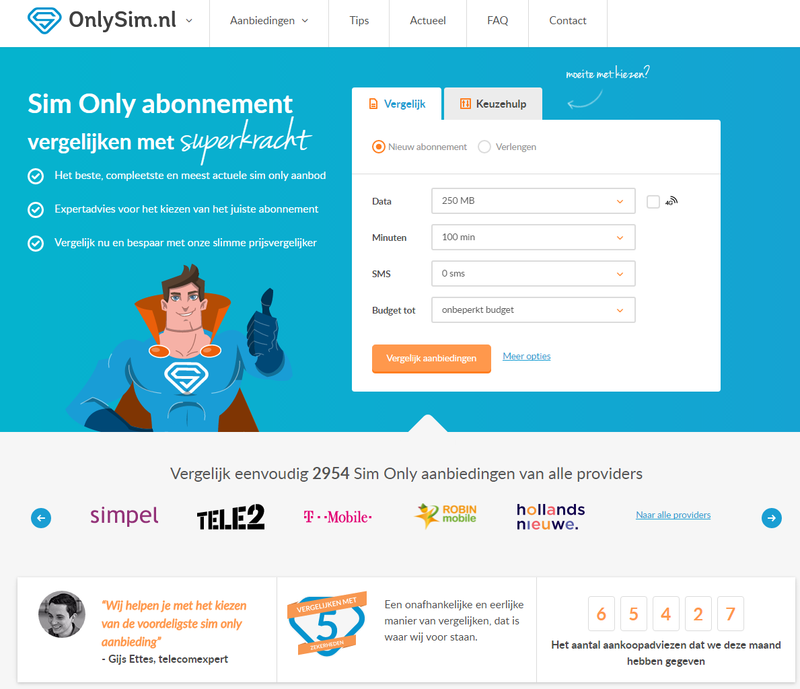 For example, via OnlySim.nl we give personalized expert advice to online customers looking for a good SIM-only deal. Thus, we make it possible for them to save money on their monthly plan in a market which is characterized by aggressive marketing and ever-changing price propositions. We help them to get an overview of all the possible deals and make better purchase decisions, in addition to promising five guarantees for users: independent, up-to-date, complete, reliable and personal. Our third pointer adds to the previous one: if you’ve determined your unique selling points there’s a good chance you now also know how you can be distinctive. You can use this knowledge to your advantage by choosing a creative and unique marketing angle, aligning it with your product or service and incorporating this strategy into your marketing plan. At OnlySim.nl, we have chosen to use the slogan ‘Compare with Superpower’, which is reflected in the logo and mascot. The superhero symbolizes the personal approach we have chosen and the powerful search engine technology that is the motor of OnlySim.nl. In the past, the most powerful tools were only accessible for the rich. Nowadays, you can use open source technology in order to distinguish your brand and provide customers with a unique user experience. The first step is always the hardest, especially when it comes to launching a new affiliate site. Simply ranking well in Google doesn’t cut it anymore; it comes down to persistence and your ability to be simultaneously successful in multiple areas. It is important to keep in mind that not only the techniques and marketing strategy you use makes a difference, but that sustainable and valuable content does as well. Therefore, start building your brand by taking it step by step and learn from the lessons unexpected setbacks teach you. Gather user feedback on a weekly basis in order to optimize and improve your product or service and mostly, be patient – launching a new concept in a competitive market requires a long-term effort, which can take up to a year or longer. 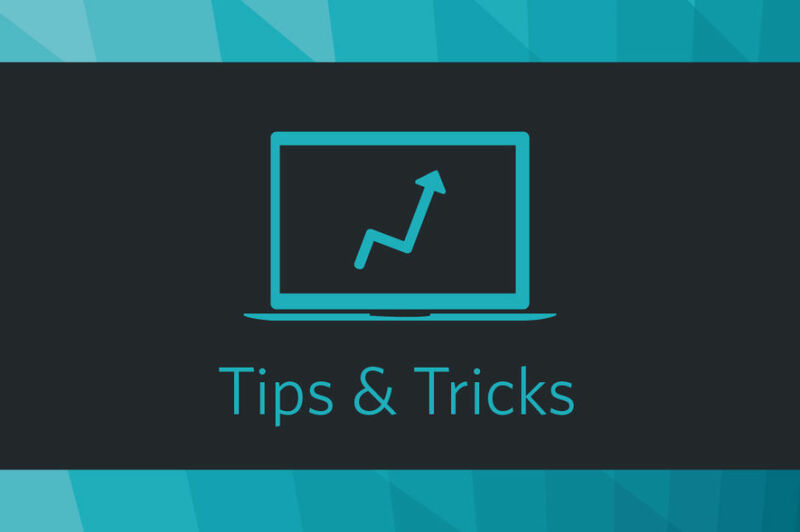 Check out the rest of our weekly tip series here.